・UNIQUE! Focus on the prevention of behavior problems is found throughout the majority of the book to show clinicians how to incorporate behavioral considerations into general practice. ・Comprehensive, holistic care fusing the physical and psychological well-being of feline patients serves as a foundation for all content. ・International team of expert contributors provides in-depth, authoritative guidance using the most up-to-date information available. ・Updated information on preventive advice and treatment recommendations follows the guidelines set forth by the AAFP. 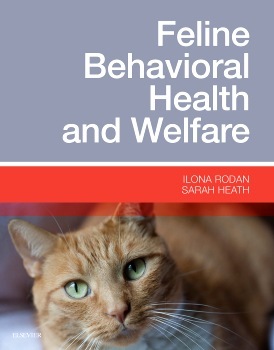 ・Client handouts and behavior questionnaires in the book help vets clearly communicate with clients about their cat’s behavior.